The old real estate tenet "don't buy a house more than three times your income" has little merit in today's market. Between the trifecta of record low borrowing costs, monumental price gains and a dire lack of supply across the Greater Toronto Area, working out how much you can afford to spend on your dream home isn't exactly clear. The old real estate tenet "don't buy a house more than three times your income" has little merit in today's market. 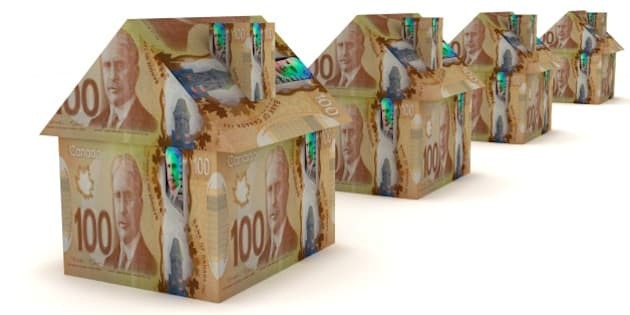 Between the trifecta of record low borrowing costs, monumental price gains and a dire lack of supply across the Greater Toronto Area, working out how much you can afford to spend on your dream home isn't exactly clear. The almost universal approach used by mortgage experts to identify affordability is Gross Debt Service Ratio, or GDS for short. Finding your GDS involves adding up all your expenses (mortgage, utilities, property taxes etc.) and dividing them by your household income. Thirty-two per cent is the magic number and serves as a rough guideline of what you can buy on the assumption no more than ⅓ of your salary is spent toward your property. TheRedPin analyzed average real estate prices across the GTA and the incomes needed to afford them using the 32 per cent rule. Before we get started, it's key to remember we're highlighting the entire household income, not just that of an individual. When looking at the overall GTA housing market, there's little surprise that detached homes demanded the highest incomes. Real estate is highly local, however, and trends can vary drastically from city to city. Based on region-wide average prices, you need an income of $165,109 to afford a detached family house across Toronto and the suburban 905. That's 17 per cent higher than needed salaries from last year. On the other end of the spectrum, condominium apartments were the most affordable, with the minimum salary needed to afford an average GTA high rise jumping by a more modest six per cent compared to 2015. With that in mind, we also broke down how much you need to earn to buy a house across every major city and town in the GTA based on average prices for all home types. Outside of a handful of cities further east in the Durham region, we found a six figure household income is almost a must for home buyers. The prices highlighted in this analysis cover all home types -- detached, semis, towns and condos combined. With that information in mind and the fact the figures are more reflective of single family homes, we considered a down payment of 20 per cent was made, which is more in-line with repeat buyers who have built up equity. Our calculations factored in an interest rate of 2.49 per cent, municipal property taxes and utility costs. View needed household incomes for all GTA cities here.